More and more people are opting to vape instead of smoke, and if you've been curious about this trend, or are already a seasoned vapor, you're in luck! 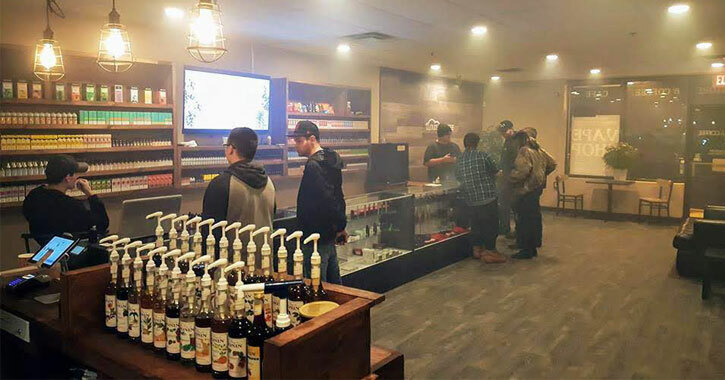 The Saratoga area now has a new vaping shop that is also a coffee lounge - a first for the Capital Region. We sat down with owner Steve Salvi to find out all about the progressive and cleverly named Clouds & Coffee and what we should know before stopping in. 1) You’re the only vape store and coffee shop in the area - what made you decide to go into this business? Why both vaping and coffee? A lot of cigarette smokers drink coffee while they smoke. I figured when starting this business it would be great to provide the same pairing for smokers switching to vaping. 2) What advice would you give to someone who’s curious about vaping and might want to try it for the first time? Where would you start? Vaping is in my personal opinion the best alternative to smoking. If you smoke, I would suggest giving vaping a shot. These days there are so many different devices available to cater to each individual. In the past year or two, there have been so many new releases that cater specifically to smokers. The technology is better and our customers have been finding a lot of success. The cost to get into vaping is comparable to a few packs of cigarettes but the savings over time is considerably higher. If anyone has questions, they can call our staff anytime to get pointers. 3) Can you tell me about the different e-juice flavors you offer? Do you have a favorite? We offer over 100 different flavor options from over a dozen popular companies including zero, non-nicotine e-juice. Everyone has their own personal preference to flavor, so there are a lot of options on the market. I do not personally have a favorite flavor. A lot of our customers bounce around to keep it interesting and enjoyable. I find myself doing the same. Touching back on nicotine strengths, there are different strengths available. A lot of smokers start higher and drop down to lower nicotine strengths, which is why there are so many different options. 4) And what can you tell me about the coffee offered - you carry a house brand, correct? Are there certain flavors of coffee that pair with certain e-juice flavors? We offer our house brand which is a medium roast Colombian coffee. We have over 20 flavor options for the coffee that you can cross mix to create a more complex coffee flavor. My favorite is a peppermint mocha coffee, which would pair very well with a vanilla cream e-juice flavor. 5) What's been your favorite thing so far about owning this business? We have had a very successful opening. I plan to open a second location this summer. I really enjoy what the industry offers and the growth the industry has seen in the past couple years. It is the New Year now, and a lot of people are coming in for their New Year's Resolutions. Seeing people taking initiative to quit smoking is a great thing to see. 6) What do you like to do in the Saratoga area when you're not working? When I'm not working and have the time, my second passion is flying. I fly Cessna's, the small ones, but most of all I love spending time with my girlfriend. Flying is the best experience ever, but outside of that I work over 70 hours a week and own two businesses, the other being a boat rental company on Saratoga Lake. Business has always been my number one passion since the age of 17. My long-term goal is to form a national holding company, so I always stay busy and enjoy every minute of it. Clouds & Coffee is conveniently located at 772 Saratoga Road in Burnt Hills in the Dollar General Plaza. They're just 10 minutes from Scotia and Ballston Spa, 15 minutes from Clifton Park and Schenectady, and just under 30 minutes from Saratoga Springs. They're open 10am to 8pm Monday through Saturday. 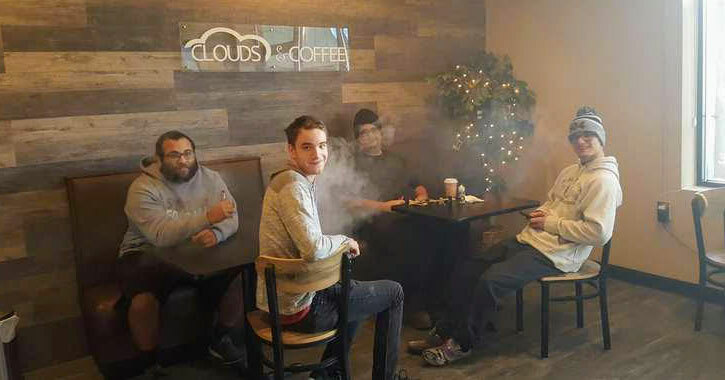 The next time you're looking for Saratoga area vaping shops remember that Clouds & Coffee has over 100 e-juice flavors, 20 coffee flavors, and a relaxing lounge where you can enjoy both.